A sophisticated thriller that takes readers on a wild ride through a clandestine plot to assassinate Fidel Castro. Former CIA agent Carolina Perez has spent five years working deep undercover for a very secret and very powerful organization. Their mission is to bring down Castro and Free Cuba from the grip of his long and troubled regime. She believes in her heart that the cause she works for is just, even though it means lying to her wealthy and influential ex pat uncle, Roberto Anzar. What she doesn’t know is how deep the deception goes and how intricate the web of lies and contradictions truly is. In Cuba, Carlos Gutierrez, the embattled and disillusioned minister of health, faces his own demons and is at great risk as he undertakes his role in the plot to rid the island nation of her communist restraints. 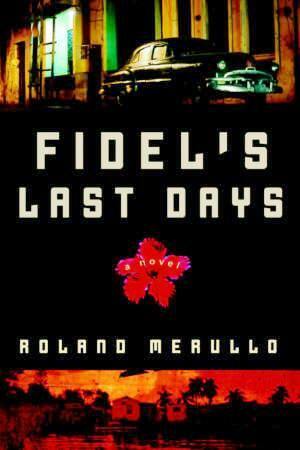 From the hot, roiling streets and glittering beaches of Miami to the crumbling and faded elegance of Old Havana, Fidel’s Last Days is a dynamic and explosive thriller that leads readers on a breathless journey into the heart of a nation longing for change.